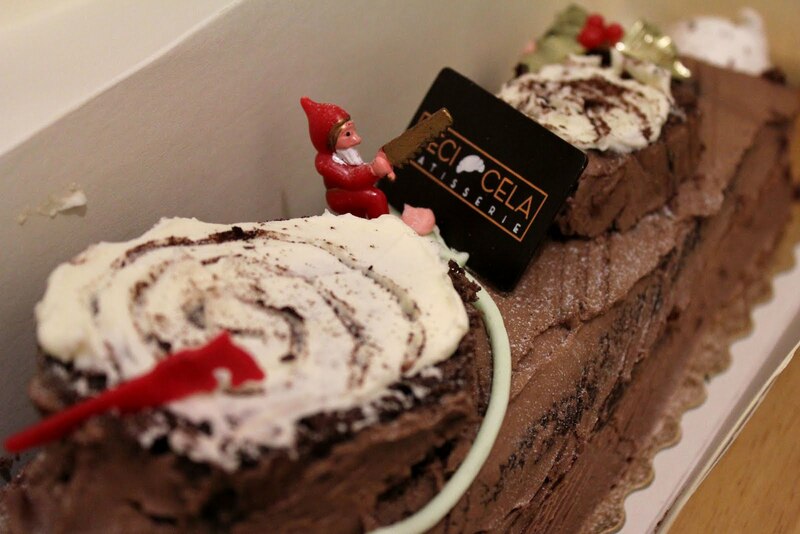 For Christmas, in honor of the Christmas cake tradition in Japan, RB pre-ordered bûche de noël ($40) from Ceci Cela. 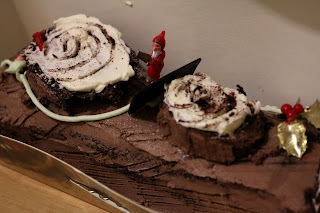 I personally prefer the flavor of Payard's bûche de noël for its chocolate density and richness, but I thoroughly enjoyed Ceci's chewy and creamy texture of the cake. Ceci's definitely seemed more home made and approachable without a hint of pretension. I hope this Christmas cake tradition that is widely popular in Europe and Asia will catch on in more New York bakeries. After all, who doesn't want a slice of delicious and festive cake! ?